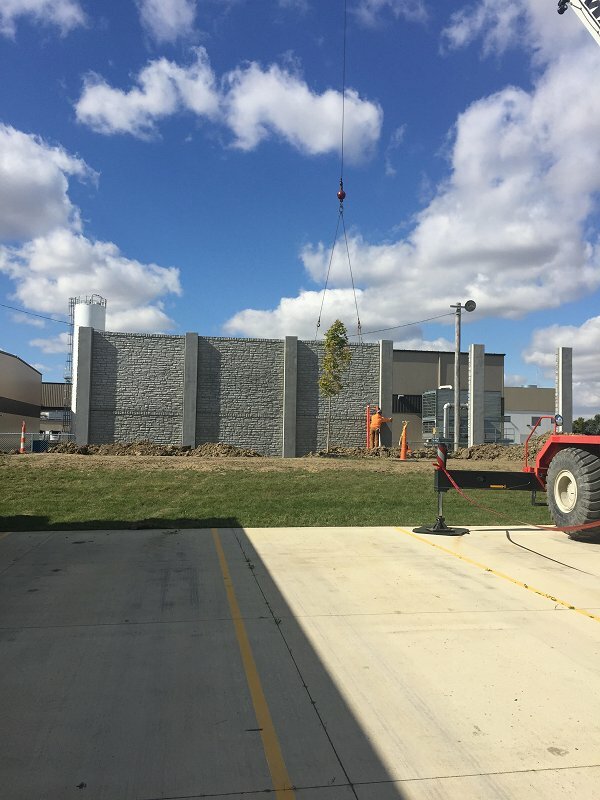 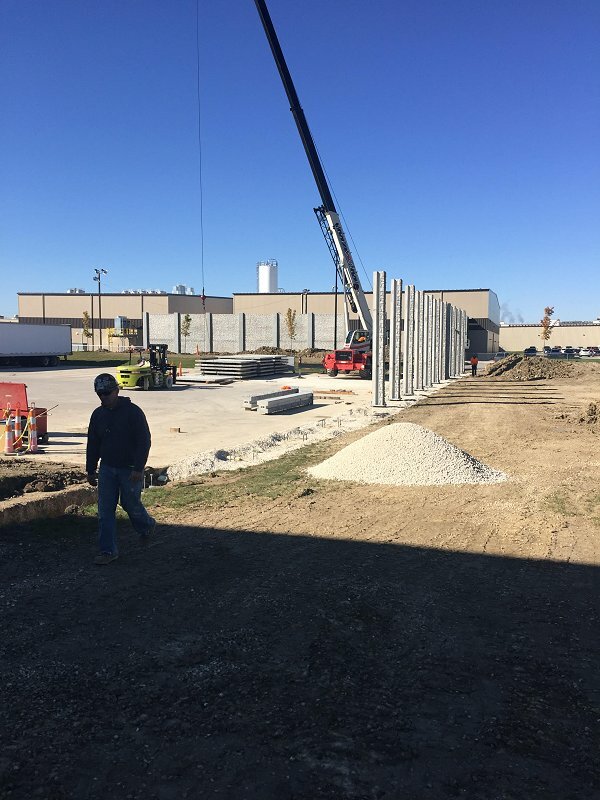 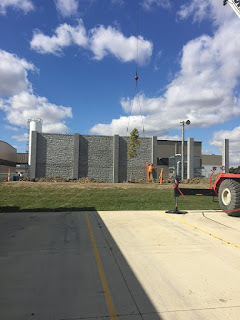 Crest Precast Concrete of LaCrescent, MN is erecting 16’ and 20’ tall walls at the Dannon Company Inc. in Minster. 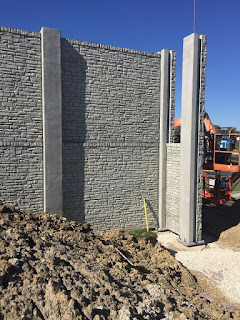 The architectural panels have a Ledge Stone finish on both sides and the columns include the Ashlar texture. The wall components include 73 posts and 142 wall panels. 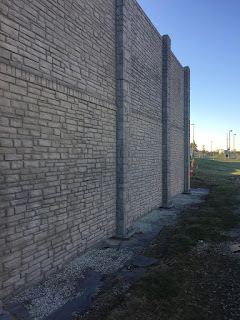 The 927’ long wall totals 16,320 square feet of surface. Crest also furnished shop drawing, engineering, shipping, and erecting for Ferguson Construction Company. This the third largest project Crest has supplied this year with other sites at Hebron, KY and East Chicago IN.